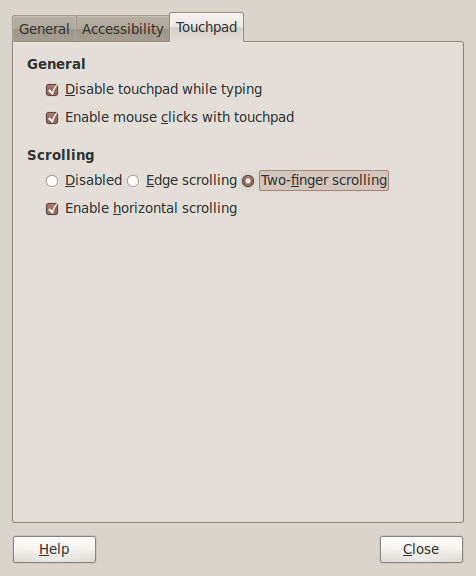 Linux supported multi touch gesture on touchpad from last few years. It was quite difficult to enable them or enable the particular multi touch function you wanted. Here Ubuntu has come to rescue with its new release Karmic Koala. Select Two finger scrolling under scrolling. That's it. Use your two fingers to scroll on any page you want. Preety handy while surfing.